Cell Phone Users Have Responsibilities With Radiation Too Living With Electrohypersensitivity What is Electrohypersensitivity or EHS? Microwave Radiation and Theodore Litovitz Smart Meter Dangers or Blessings Part 1 Are We Headed Toward a Brain Cancer Epidemic? 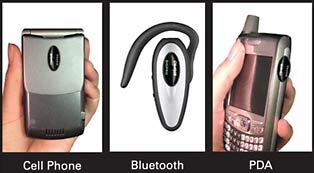 Click on the pictures below to know more of the different cell phone radiation safety products we have for your protection against ElectroMagneticFields.